RetroArch: Frontend for the libretro api, necessary for most emulators to run. EmulationStation: Frontend for sorting and launching all of your games. 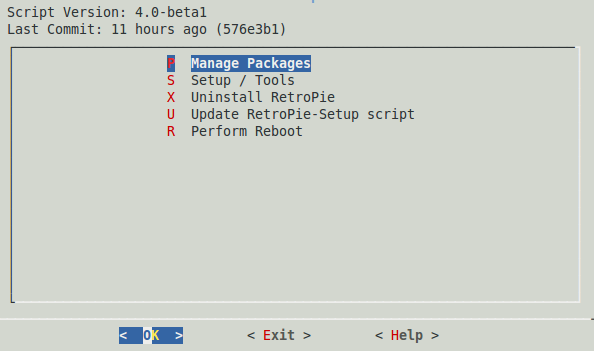 RetroPie Menu: Menu in emulationstation for simpler configuration of your system. Runcommand: The runcommand launch menu that assists launching your games with proper configurations see related wiki page HERE.